The word SCUBA in scuba diving means Self Contained Underwater Breathing Apparatus. The Webster dictionary definition of scuba is, “an apparatus utilising a portable supply of compressed gas (as air) supplied at a regulated pressure and used for breathing while swimming underwater”. While this description may not sound overly exciting, this apparatus allows you to dive underwater for extended periods of time without drowning. What an amazing time we live in. 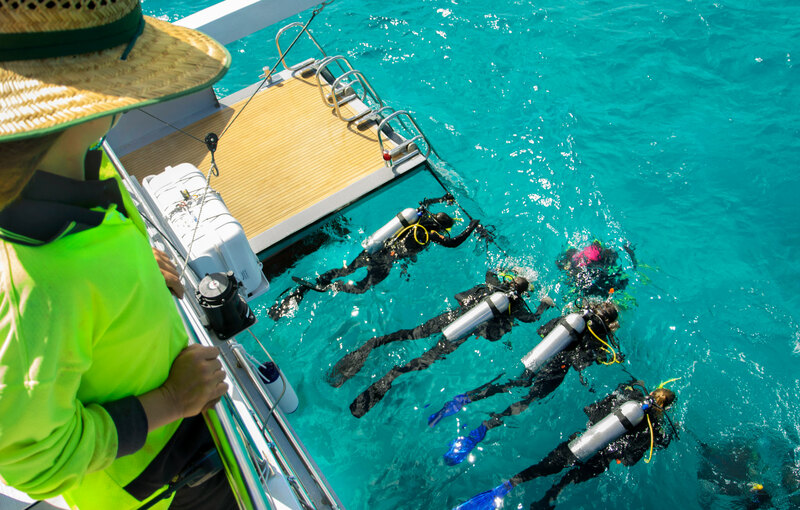 The extent to which you can explore the reef on a Great Barrier Reef Tour can open your eyes up to a whole new underwater world. The sport of scuba diving dates way back to 500BC where a Greek soldier dived off a ship and used a hollow reed to breath underwater for hours. Luckily, these days it’s a lot safer with our modern technology and we have to say, it’s very fun!!! 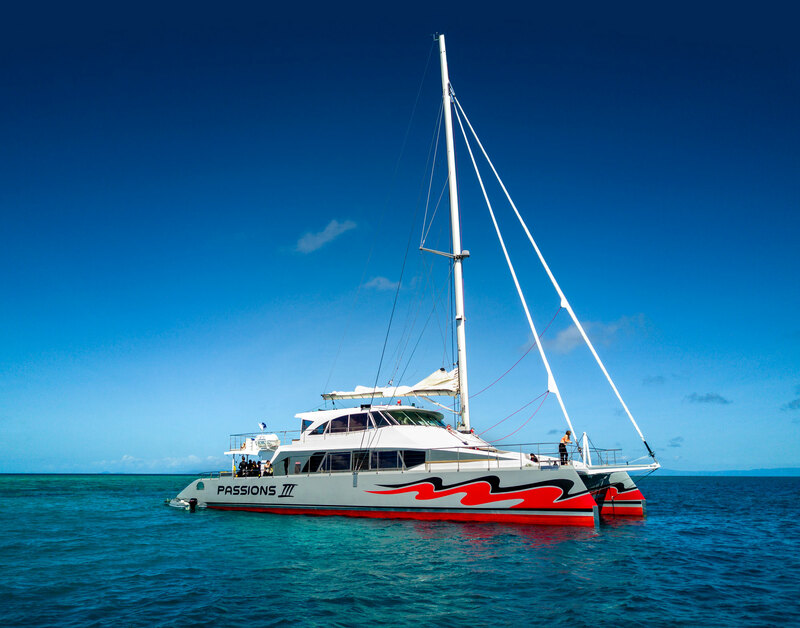 We are excited about our brand new dive gear on board Passions of Paradise. If you want to chat to someone about this gear, click here. Or to find out more on Scuba Diving on a reef trip Cairns, click the button below.